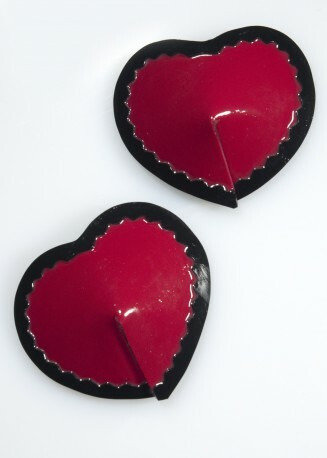 Heart shaped latex pasties with one trim, leather inside. 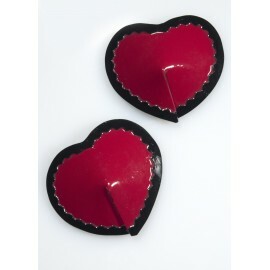 Description: Heart shaped latex pasties with one trim, leather inside. Size selectable.